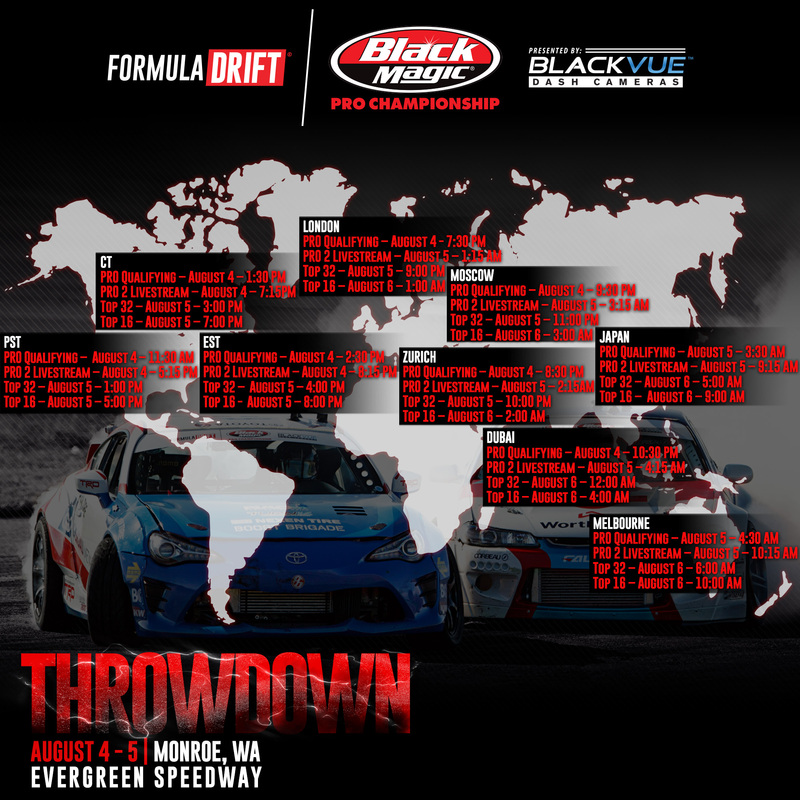 Official hashtags share up how you are watching the FD action from Evergreen Speedway. We have Four tickets up for grabs and all ya have to do is – Tell us what your favorite Drifting related moments is. What makes you love Drifting. No right or wrong answers…….. And as always rock on and keep on being awesome and thanks for continued support. 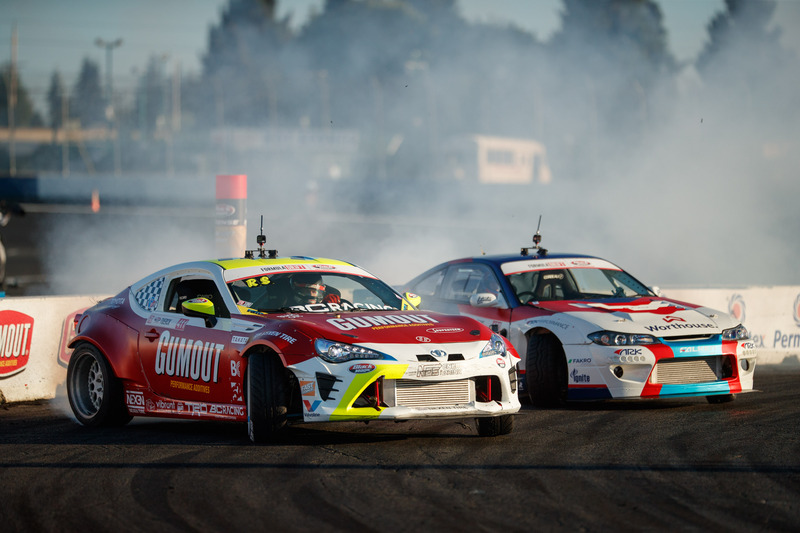 Long Beach, Calif.  July 19, 2014 - Formula DRIFT returned to Evergreen Speedway in Monroe, WA for Round 5: Throwdown. Darren McNamara in the Falken Tire Nissan S14 takes his first victory of the season. 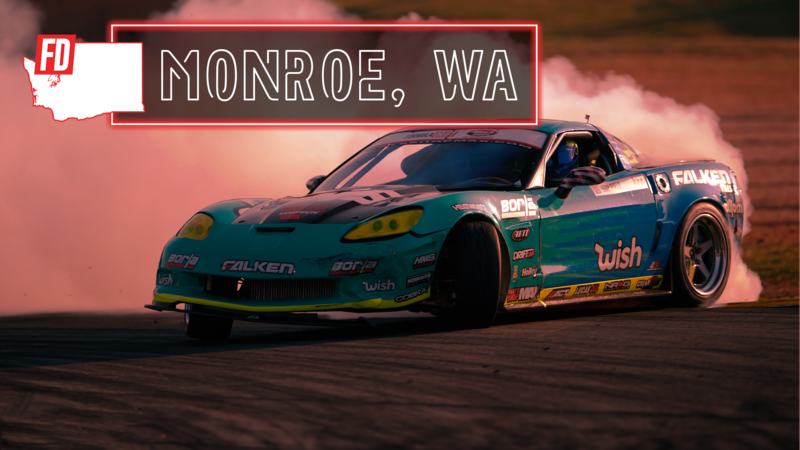 Round 5: Throwdown held at Evergreen Speedway showcased intense competition throughout the weekend. The weather held up for the capacity crowd as they were entertained by the action on track, the open paddock and Offset Kings car show.